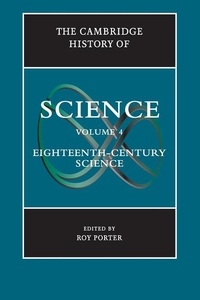 This volume offers to general and specialist readers alike the fullest and most complete survey of the development of science in the eighteenth century. It is designed to be read as both a narrative and an interpretation, and also to be used as a work of reference. While prime attention is paid to Western science, space is also given to science in traditional cultures and to colonial science. The contributors, world leaders in their respective specialties, engage with current historiographical and methodological controversies and strike out positions of their own.